MYASICS is an online tool that helps you achieve your running goals. It allows you to set up an individual training plan for popular running distances: In addition to the individual planning, you can also log your runs, find useful information and communicate and share your progress with other runners via the MYASICS Facebook app; a timeline filled with support and advice that will keep you motivated every step of the way to your goal. Plus download the free app straight to your android phone and start tracking your run’s today. Looks like a useful addition in crowded market up against www.strava.com (where there’s already a Helsby Running Club group), www.endomondo.com, www.mapmyrun.com and all the rest. Let us know how you get on with it. Lots to report this week but please note there are also lots of additional items to look at following the results. 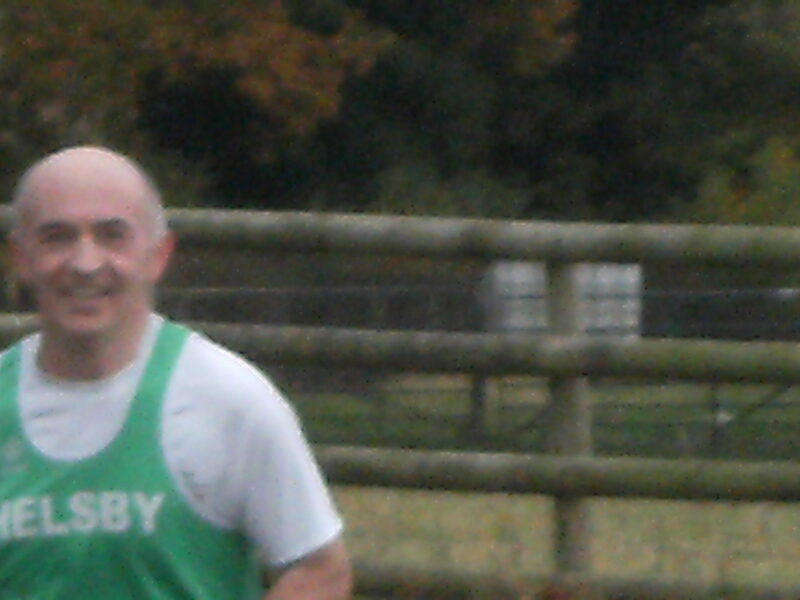 Four out for the Green vest on Saturday morning at the 37th Delamere Park Run with first home Ivan Davies in a great 11th place overall followed by Dave Madders with a course PB and first lady in for Helsby Janet Robertson followed by Jane Ashbrook in her warm-up for Sefton with Charlie. Saturday afternoon was the UK Cross Country Challenge at Sefton Park which also incorporates the Liverpool & District XC League and trials to see who represents Great Britain at the European Cross Country. The standard would be the highest from any race we usually compete in! Great runs from Jayne and Jane in the ladies race which also incorporated the Under 23’s category as did the Senior men’s race so don’t underestimate the achievement of Jayne and Jane, brilliant performances against the countries best I assure you. Colin Thompson ran a fantastically paced race to shine on the day. 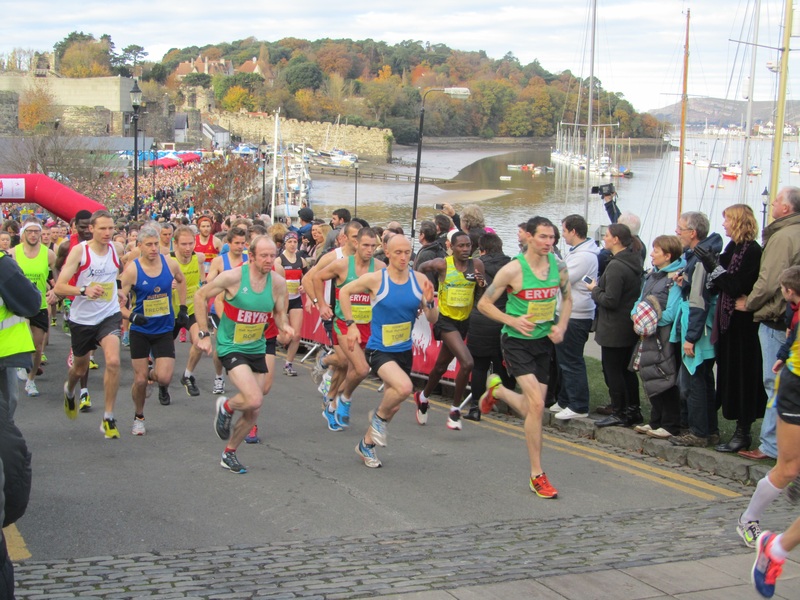 As this race also formed part of the Liverpool & District there is a separate set of results for that which can be found specifically on the l&d site. For the purposes of this report we’ll include results for the whole. Brilliant support all the way round this year at Sefton from Joe, Mario, Louise and possible someone giving Joe a run for his money in those particular stakes was young Charlie Ashbrook. Worthwhile doing this race for that alone! 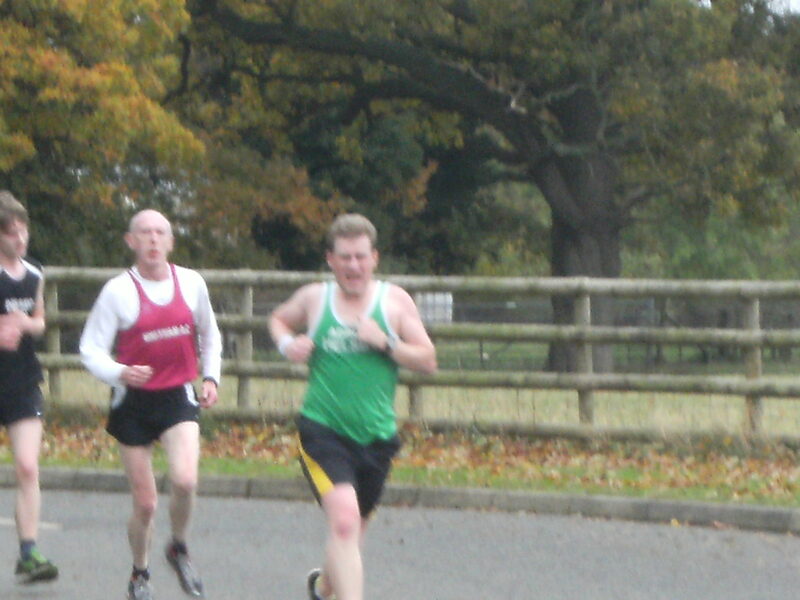 Good running from Phil and Paul at the David Staff Memorial Race on Sunday. 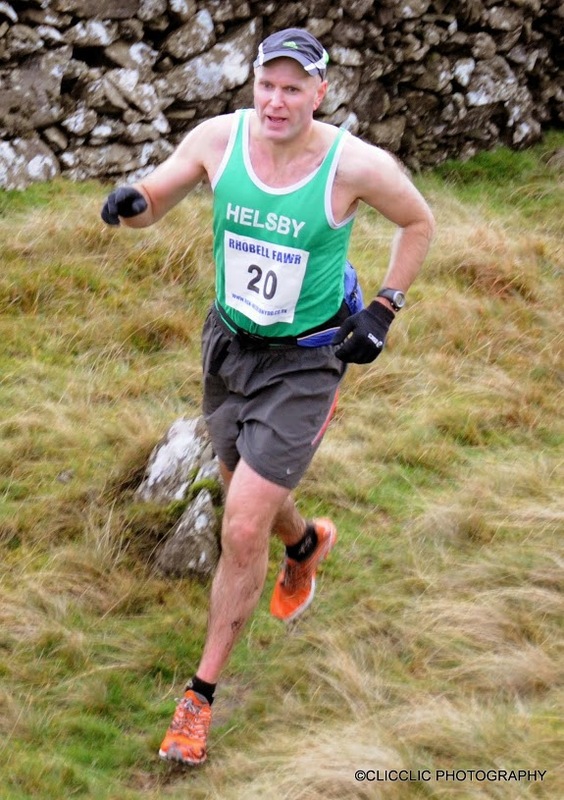 Paul states “This is a great fell race, good club and great location..I was 9 minutes faster than last year so running with Helsby is truly paying off” Nice words to hear. And some thoughts from Phil “Lancashire seems to have a number of (runnable?) hills with towers on top which warrants somebody to organise a fell race, Rivington springs to mind and many Helsby runners have participated in this historic race. Darwen (near Blackburn) also has tower and is the focus for at least three races, the Aggie’s race, the Darwen gala and this weekend the David Staff memorial. Paul Foster has connections in this area and as a result of conversations on club runs he has motivated me to try the gala race earlier this year and the David Staff race too. Sounds like we should include at least one of these races in our fell races next year! Well done to Roy, first male home and to Joanne for first lady. It’s also the Cardington Cracker which I am sure a number of Helsby Vests will run as it’s a classic. 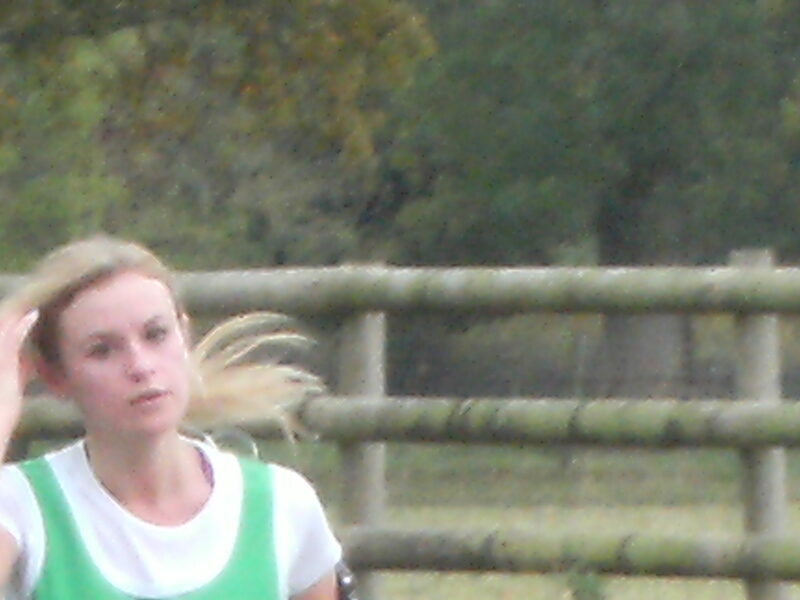 You have probably seen the reminder on the website about runners not wearing head-phones. 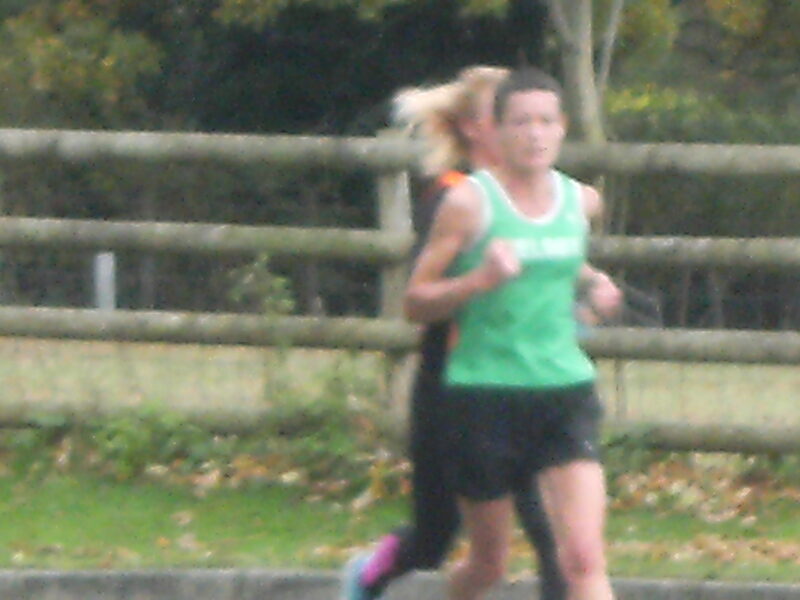 At last Sunday’s race the referee, John Driscoll, had to caution someone about wearing head-phones. Could you please tell all your runners that head-phones are not allowed and if worn, could result in them being excluded from the results. I believe the Border League reccie went well, but a few more marshalls and support is required for Dec 15th. Please let Vanessa know asap if you can help!! Chris Fitzpatrick has asked if I could put something in the round-up about having a few Xmas beverages at some point… “as a few of us have been talking about it, if you could ask everyone to email me fitzpatrick_chris@hotmail.com with the dates they could be free In December weeknight or weekend (I’m presuming not a lot would be free at weekend due to Xmas parties) but will try an pick something that everyone can make or most of us can make or maybe after a weds night run? So please let Chris know some suitable dates! Talking about her personal experiences, What it takes tobe an elite athlete, training tips and a Q +A session. To reserve places, please send Steve Pickford an email at steve.pickford@talktalk.net, payment is by cash on the night. And I thought Winter was the quieter season. Full set of results for this weekend below. 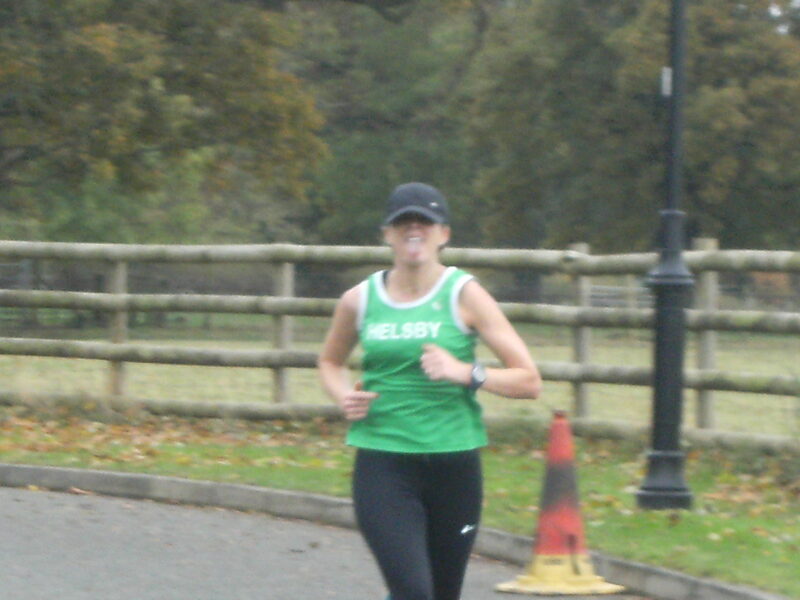 One results missed off previously, the results from the Capesthorne Hall half marathon on Sunday 3rd November….4 runners out for Helsby, on a very early, cold, wet and windy morning. 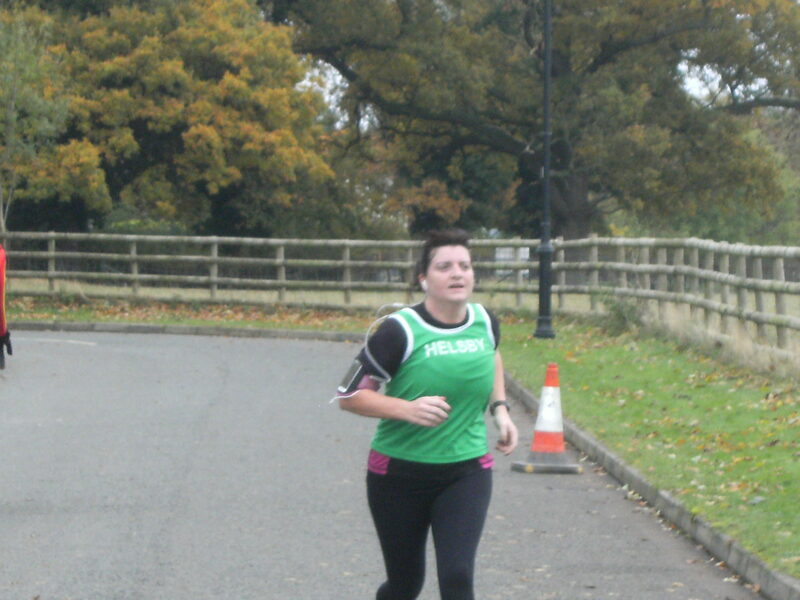 Despite the rotten weather it was a lovely course and a nice warm up for the Helsby 4 villages! Unchipped times below…. Saturday was the 36th Delamere Park Run with a strong turnout of 10 Helsby runners with first home Dave Madders in a new PB. 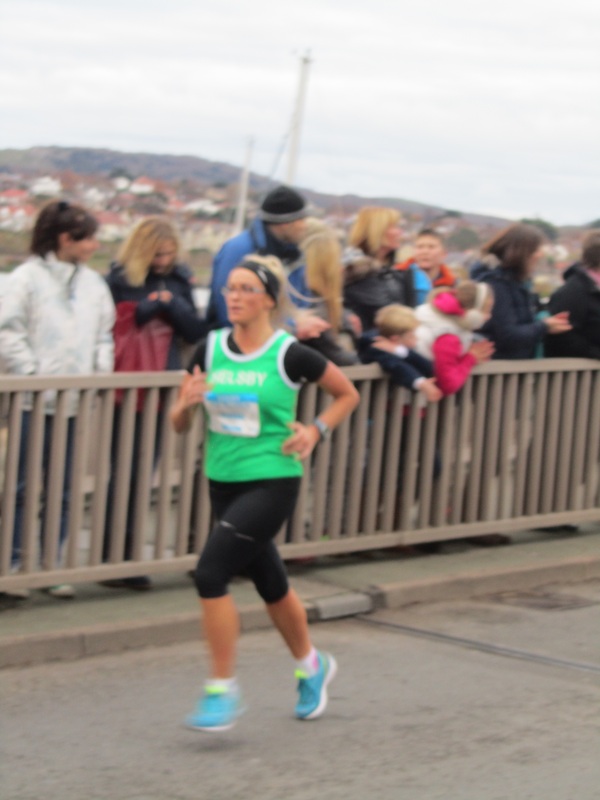 Lesley was first Helsby lady. Well done also to Kevin Smallwood for his PB. Astonishing and perfectly timed run from Jayne Joy saw her complete her Penmaenmawr double having retained her winning title from last year. Looks like some people got lucky and didn’t experience too much trouble in the notorious bog section, whereas others did! Thanks also to Joe and Mario out on the course. The 40th anniversary next year so give it a try. 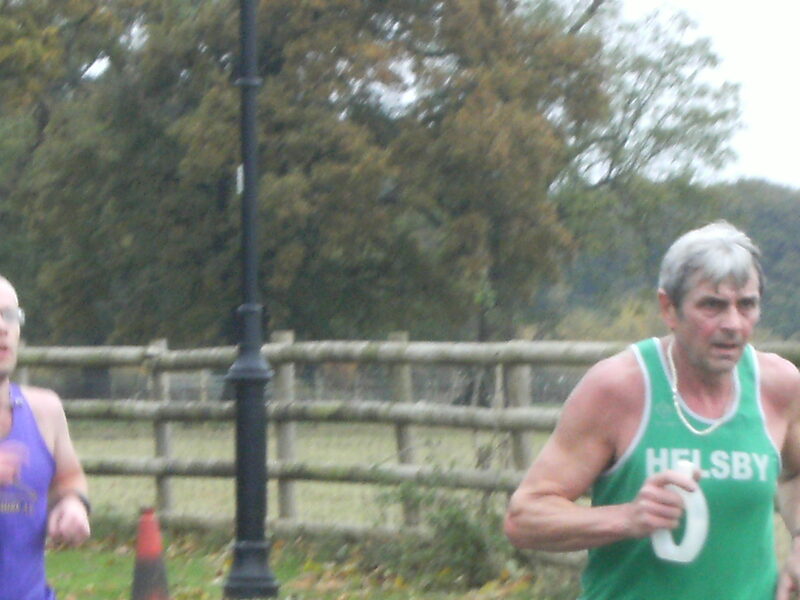 Dragons Back legend Chris Baynham-Hughes came in a magnificent 6th place and gentleman Jim O’Hara ran with Sharon from Tattenhall as a pair to feature well up the field. Some great performances in this race overall and the ladies should be especially happy for a 3rd place in Division One for the team event. 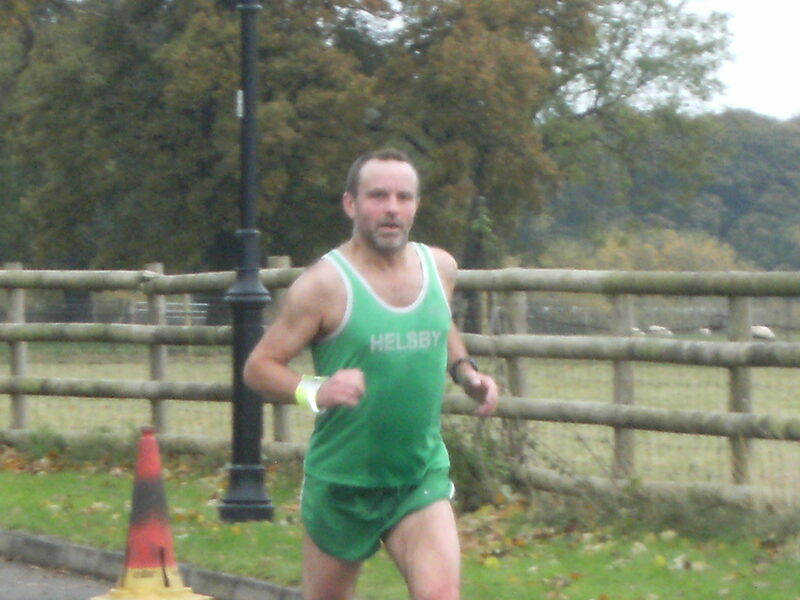 Helsby men were 4th in Division Two. Thanks to all who were out in support including Joe and Mario who have expressed their thanks for the large turnout via email and for Jane taking some photos on the day which will be put on the blog soon. Please come along and support Gareth and our half marathon. There are still a number of tasks and jobs to allocate which can be done by those planning to run or not to run. Many hands make light work…etc etc !! And for those that know Buckley’s Johnny Morris, as a little celebration of John Morris’s 70th birthday we are meeting on Wednesday 20th November 6.30pm at the bottom car park of Moel Famau for a short run then back to the Colamendy pub for beer and cake. As most of you know (I think), Helsby RC is hosting a Border League race on 15th December, on Wigg Island, off the coast of Runcorn. On Sunday 24th November at 11 am, Adrian and I are organising a recce of the course for all Helsby runners who would like to come along, including those of you who are already familiar with it. To help make race day itself a success, we will need a minimum of 6, but ideally 8 marshals. If you are not intending to race on 15th December, please would you consider volunteering; and if you are likely to run, do you have a relative or friend who you could volunteer?! The idea is that, on the day of the recce, we will be able to show the ‘volunteer’ marshals their positions and brief them on any particular hazards or issues. Directions are very straightforward: from Junction 12 of the M 56, follow the A 557 Weston Point Expressway, past the turn off for Runcorn Station, past the Bridge and Runcorn Town Centre turn offs and then follow the brown sign for Wigg Island. This cold weather is not deterring anyone from running it seems! 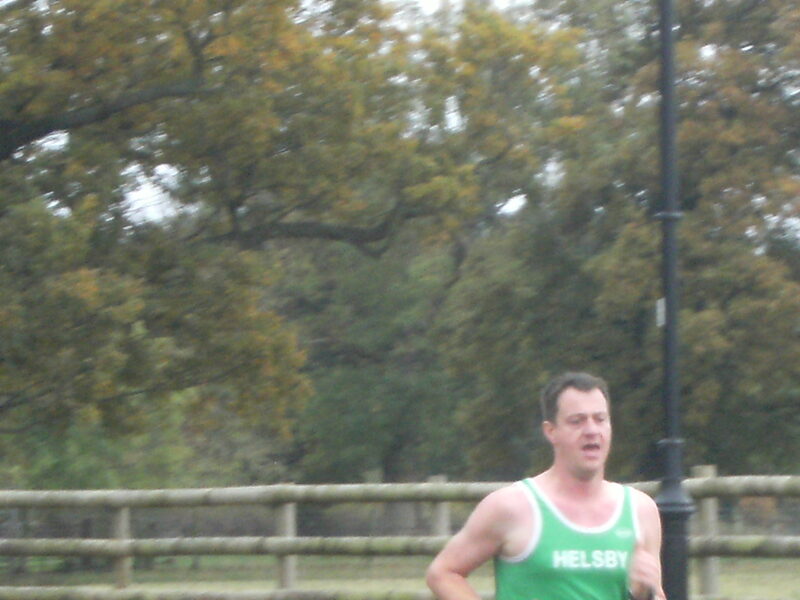 There was no Delamere Park run this weekend as it was the Hellrunner Hell up North and looks like that took precedent. Checking the website it is difficult results to sort out for that particular race so not sure if there were any Helsby runners present? I’ve attached the results for anyone who fancies a perusal. Unfortunately I’d missed off last week’s Delamere Park Run from the round-up so for 26th October the results were as below. 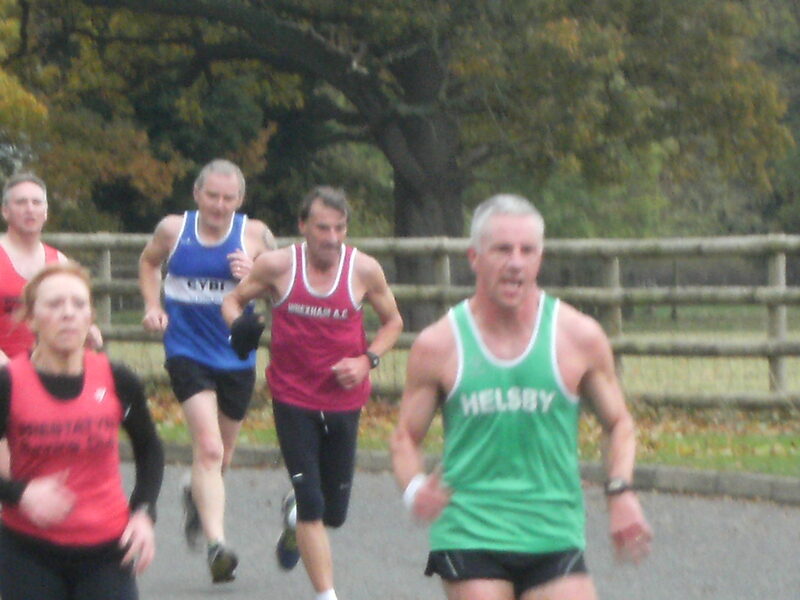 As you can see five out for Helsby with two of the runners even competing in Sunday’s Clarke Gardens XC. Well done to Colin Thompson for a podium position, 2nd overall and first Helsby home and to Jo Farwell for first Helsby lady. Sunday saw our final fell counter and a good showing for Helsby throughout the field. This was the Clwydian Hills Fell Race, which was also the final race in the North Wales Series too. Full results for the Clwydians are now on the Welsh Fell Runners Website. There were 11 out for Helsby which is a good turnout for a tough race at roughly 9 miles and 3000ft of climb which included the infamous stone gulley as the final ascent. Conditions were cool and wet underfoot but the rain held off for the race. Helsby positions and places as follows. Well done to Chris Baynham-Hughes for first in for Helsby on the day. 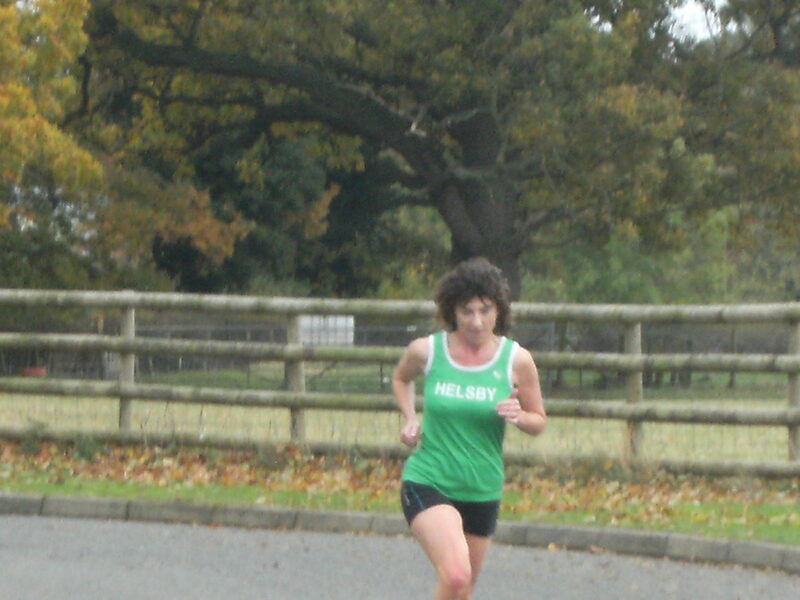 Jayne Joy was the only Helsby prizewinner for the race picking up 3rd lady overall. However, as this was also the awards for the whole of the North Wales Championship Jayne also picked up the award for 2nd lady overall for the series which is a brilliant accomplishment over some particularly tough races. Be sure to congratulate Jayne when you see her. Thanks also to support from Joe and Mario on the day. 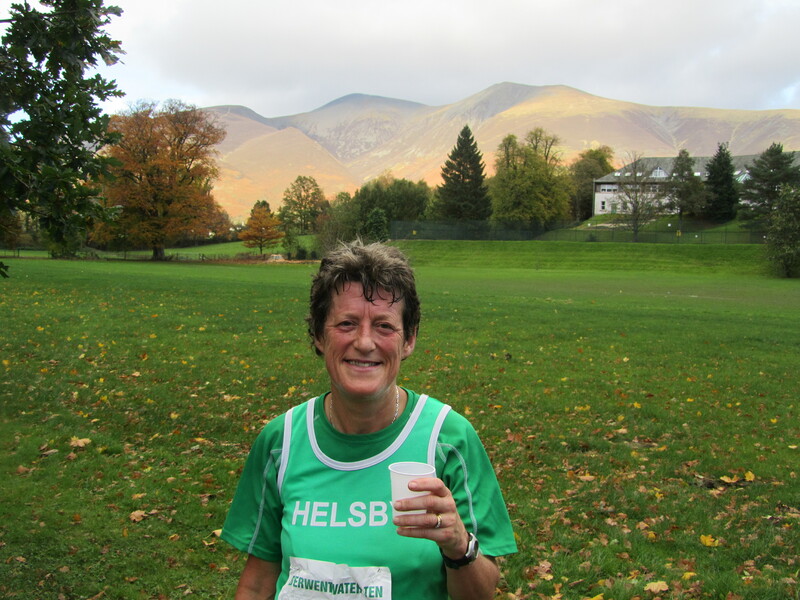 “Ran the Derwentwater 10 race on Sunday. Its a classic race with the autumn colours always at their best. 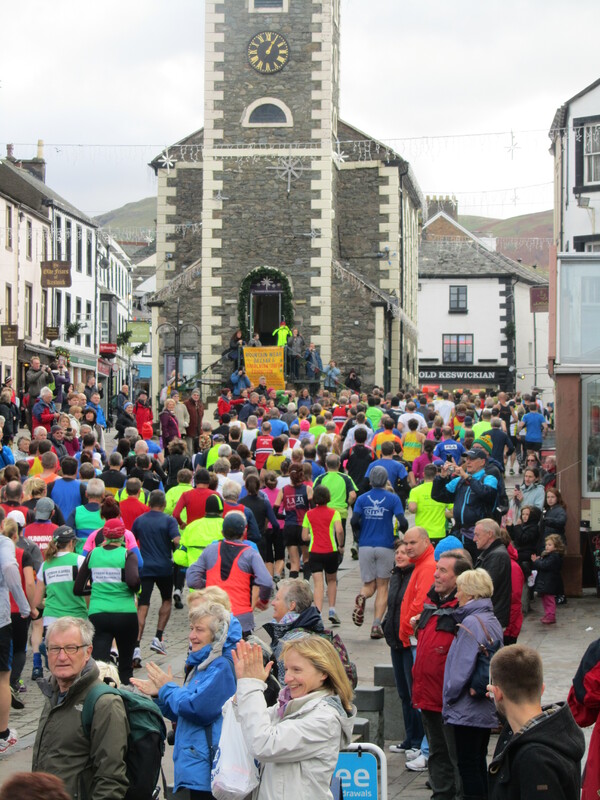 Starting in the square in Keswick, going out on the main Borrowdale road, crossing the river at Grange, then back on the hilly C road under Cap Bells to Portinscale and finishing at Keswick High school. The first snows of the year appeared on the tops overnight. The weather was kind with sunshine and heavy showers, some of them hail, but only one heavy one during the race. After the Coniston 14 race the other week, it felt much shorter and I finished still feeling strong at the end, overtaking lots of tired legs on the home straight in 1:23:37. After the race, we were in no hurry to leave as we were staying in Keswick that evening. Over a cup of tea in the school hall, a fellow runner chatted saying she recognised me. We compared and contrasted lakes races, fell races and mountain marathons that we had both done and put it down to that! The presentation in the school hall followed. Local runner Ricky Lightfoot (who won the World Trail Championship in Llanwrst this year) won the race in 53:29 and I was amazed to pick up the 2nd lady V55 prize (although only missed out on 1st by 11 secs!). This led to my fellow runner finding out my christian name and age and working out that we were at college together in Durham 33 years ago! Neither of us ran or were particularly sporty (with the exception of table tennis) then but we were members of the same walking group. The day ended perfectly when she said I hadn’t changed at all! Also a week Wednesday, November 13th is Jane Ashbrook’s Prevention and management of common running injuries, which will be held following the club run but preceded by a fish supper. If you are attending please make sure you have replied to the recent email from Dave Feakes.